Dedicated Web hosting packages are offered by Web hosting companies to individuals who intend to develop large networks of websites with massive volumes of content, more so to businesses and companies that have online communities and data portals with vast user and admin-generated content. Most of these businesses and companies already expect large volumes of traffic on a regular basis, and they also expect their viewers to simultaneously view their digital image, photo and video content as well as upload and download large content files to and from their websites. Some of these businesses even provide high quality video streams on their sites as well as video uploading privileges to registered members. These are aside from the abilities of their viewers to leave or enter comments and post their own content on these websites. The requirements of these individuals, companies and businesses for their websites can be accommodated by a dedicated Web hosting plan. What exactly is a dedicated Web hosting account? This is where a customer is given sole access to the resources of a Web server that’s located in a data center of a Web hosting provider. This means the Web server’s hardware resources are dedicated to only one customer, and these hardware resources include the processor, RAM resources and data storage drives. This means: You should take note of the processing speed and power of the processor that’s integrated into the Web server where your dedicated Web hosting plan will be attached. Compare your traffic estimates and your expected onsite viewer activity against the processing speed and power of the processor that’s bundled with the Web server. Then: Take note of the RAM resources implemented into the Web server of the dedicated Web hosting plan you’re interested in. Larger RAM resources could give the Web server’s processor more than enough support for quickly processing data transmissions and data processing tasks, thereby improving the overall performance of the Web server for processing data queries sent to and from the Web server and the Web browsers of your viewers or site administrators and the Web server’s control panel. Also: Take note of the data storage space that’s available in the Web server of the dedicated hosting account you intend to acquire. Determine the collective size of your website files as well as your expected content uploads from your viewers. Keep in mind that you must allocate additional disk space for possible large content uploads from your site administrators or website viewers, especially if you provide content uploading features to your visitors. Also remember to take note if the Web hosting provider that’s offering the dedicated Web hosting account you’re interested in is also offering affordable upgrade options for increasing the data storage space of your Web server and dedicated hosting package. 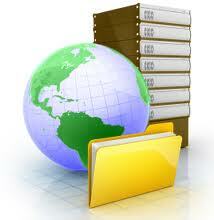 You will need larger data storage space as your traffic grows bigger. Other dedicated resources of this type of Web hosting account include bandwidth allocation. This is the data transfer rate implemented into your dedicated Web hosting plan. Since you expect a large volume of traffic that could simultaneously send data queries to your Web server for displaying the content of your website, for uploading and posting user-generated content and for providing your viewers with the site functionalities they requested from your websites, then you need ample bandwidth to prevent website lags, downtimes and frustrated visitors. Take note of the bandwidth rate allocated to the Web server of your dedicated Web hosting account and if this bandwidth can accommodate the needs and demands of your expected site traffic. Also determine if the Web hosting provider offers bandwidth upgrade options that can be quickly and conveniently implemented into your Web server and dedicated Web hosting package. For more convenient ways to have your websites live and running, as well as for managing the content of your large networks of sites, select a dedicated Web hosting package that’s integrated with an easy to use, simple to navigate control panel. A dedicated CPanel Web hosting account is recommended by a lot of Web server management specialists, especially to those with zero to minimal knowledge in Web hosting and Web development. These dedicated CPanel Web hosting plans also come bundled with scripts that make it quick and easy to install different CMS (Content Management System) software into the directories of your Web server. CPanel also provides a lot of sections that make it simple to manage your primary, secondary and sub domains, email accounts, DNS (Domain Name Server) settings and email management requirements among other options. Take note of freebies or rewards and incentives bundled by the Web hosting provider with their dedicated Web hosting offers. Some offer free Google Adwords PPC (Pay Per Click) credits, and these are useful for advertising or promoting your large networks of sites, since you can get up to $200 of free Google Adwords PPC credits with your dedicated Web hosting package. Also take note of the uptime and money back guarantees provided by the Web hosting company with their dedicated Web hosting plans. You should also consider the customer and technical support service quality and responsiveness provided by the Web hosting company to their dedicated Web hosting customers. You can test this out by contacting their customer and technical support representatives to request for more details about their dedicated Web hosting plans. Also make it a point to try out their different support options, such as phone support, email and helpdesk ticket support and live Web chat support. Compare the prices of your desired dedicated Web hosting accounts offered by the reliable Web hosting providers in your list. Study your requirements and preferences so you can accurately determine which Web hosting provider offers the best value for your time and money and pinpoint the most suitable dedicated Web hosting package for you and your particular needs.